3rd time I’ve used this picture. Gotta stop talking about unicorns. With the help of faithful US citizens and patriots, such as yourselves, these meddlesome unicorns will soon be dead, and ‘round the piles of their motionless bodies shall many a child, mother, and father dance the dance of the victorious. Unfortunately, since current budget restrictions do not allow the US government to participate in the Great Unicorn Corpse Removal, we are calling on countrymen and women to do their part in this effort after they finish the dance of the victorious. We realize this is a rather gruesome inconvenience, but we hope you will soon some to realize that killing the unicorn is merely half the fun. In order to help you, our loyal citizens, we have spent billions of dollars creating a new department and hiring thousands of employees in pursuit of the best ways to use the entire body of a dead unicorn. We are certain that the American people will once again come through with impressive innovation skills and make some wonderful home crafts while also purifying the earth of this reprehensible paranormal being. Here are the top 7 uses our experts have found for the various parts of the unicorn carcass. 1. 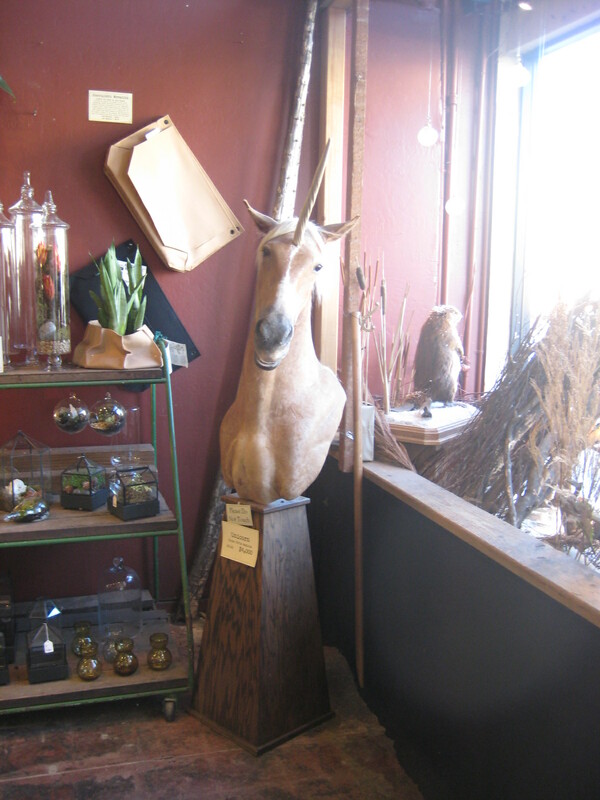 Unicorn horn chandelier: A wonderful project if you’re located in a particularly infested area. The horn is even more luminescent during full moons. Warning: see health risks section. 2. Unicorn hoof ashtray: The pearly finish is sure to go with any décor, especially nursing home and doll house themed interiors. The ashtray perfumes the room with the scent of a secret midnight garden. 3. Meat: self explanatory. See our website for glitter stew, sparkleballs, glimmer nuggets, and shine steak recipes. Warning: see health risks section. 4. Magic powder: The horn, hooves, and bones can all be ground to create a powder of mysterious magical qualities. Our experts are still studying its properties. Whatever you do, don’t give any to Ron. 5. Unicorn pelt lunchbox: The status symbol of the year. Changes colors with the unicorn queen’s mood, provided she’s not dead. Warning: see health risks. 6. Vest with no buttons: A statement your neighbors are sure to notice. Let the vest flap in the breeze as you sparkle along and leave a visible glitter trail in the air behind you. Now get out there and do your duty. Start slaying! Once again I”ll have to go along with Chris. You are deranged–and, I suspect, bored. Good thing you write so well. You can make anything interesting. Just don’t tell the authorities there’s a bored deranged person on the loose and she has a blog. Things could get ugly. Ah screw it. LOCK AND LOAD!!! Haha. Is this how unicorns became extinct? You’d have to be careful you get an original unicorn hoof ashtray, and not those horse hooves ones sold at the market for half the price. It’s disgusting what people will do for a quick buck. If you meant Ron Howard I believe the warning has come too late. Alas alas….were there not so much red tape in our government, surely the message would have come out sooner. Hey there, unicorns are a bit of a problem in my neighborhood. They have our apartment complex surrounded and they’re breaking through windows and actually this is a unicorn typing this… Unicorns unite! Our time is now!! Yea or neigh? NEIGH!!! Ah! I’ve been found! Someone get him, fast!!!! Yes, I did, just yesterday. I’ll stand behind you and nod and say it again today! Sanity is for those who don’t want to have fun with life. It’s true—I have been called deranged before, luckily not by anyone with real authority or the power to put me behind padded walls. OMG!!! You should send this here….. This is the website of a good friend who is also a professor of political science. I’m sure he would love it! This is our site if you’re interested. A little writing, a little music, a little poetry and some photography. Thanks for stopping by—-I will check everything out….EVERYTHING!